You'll still be using discs to play games on Sony's next games console, and it won't be landing until at least 2020. That's according to Mark Cerny at Sony who is the lead system architect on the next-gen console. In an interview with Wired, Cerny has confirmed the console won't be launching later this year but he refused to confirm whether it'll be called the PlayStation 5. Running off a bespoke version of the third generation AMD Ryzen chipset (8 cores with the company's new Zen 2 microarchitecture), the forthcoming console will be capable of supporting ray tracing – a complex lighting technique that has so far been the reserve of incredibly high-end PC GPUs. The chipset will also be capable of delivering a new "gold standard" in immersive 3D audio, particularly for those that enjoy playing with a headphone headset attached. 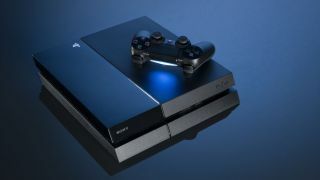 One of the other major upgrades here will be the integration of a bespoke solid-state harddrive, which would work differently to how you can connect an SSD to your existing PS4. Sony showed a demonstration of an early devkit to Wired in the interview. During a game of Spider-Man a fast travel loading screen took 15 seconds on a PlayStation 4 Pro, but the same task took under a second on the next-gen devkit. It's estimated to be some 19 times faster than a standard SSD in terms of read times. Essentially, you should expect your games to load a lot faster on this next-gen console. That said, the integration of this technology may cost a lot so there may be a price hike. Cerny confirmed the console will still boast discs to play games, and it'll be backward compatible with PS4 titles too. It doesn't look like it'll support PS3, PS2 or original PlayStation titles though. That doesn't mean the company will avoid the idea of cloud gaming entirely, or necessarily its vintage catalogue. Cerny also said, "we are cloud-gaming pioneers, and our vision should become clear as we head toward launch”. Whether that means an extension to PS Now - Sony's current classic game streaming service - or an entirely different system remains to be clear. Your existing PlayStation VR headset will work with the upcoming console, Cerny confirmed, but we'd also expect the company to release a next-gen version of its virtual reality headset in the future too. The upcoming console will also support 8K to futureproof it for your next-gen TV too. Cerny wasn't drawn on a release date for the console or a price, other than to deny rumors of a 2019 release date. But we'd hope to learn more of those details when the company officially unveils the full console. The Wired article says, "Sony recently accelerated its deployment of devkits so that game creators will have the time they need to adjust to its capabilities." That suggests game developers already have the technology to play with, meaning we may hear more about the new console sooner rather than later.